When looking to grill the perfect steak, it’s best to consult the experts. 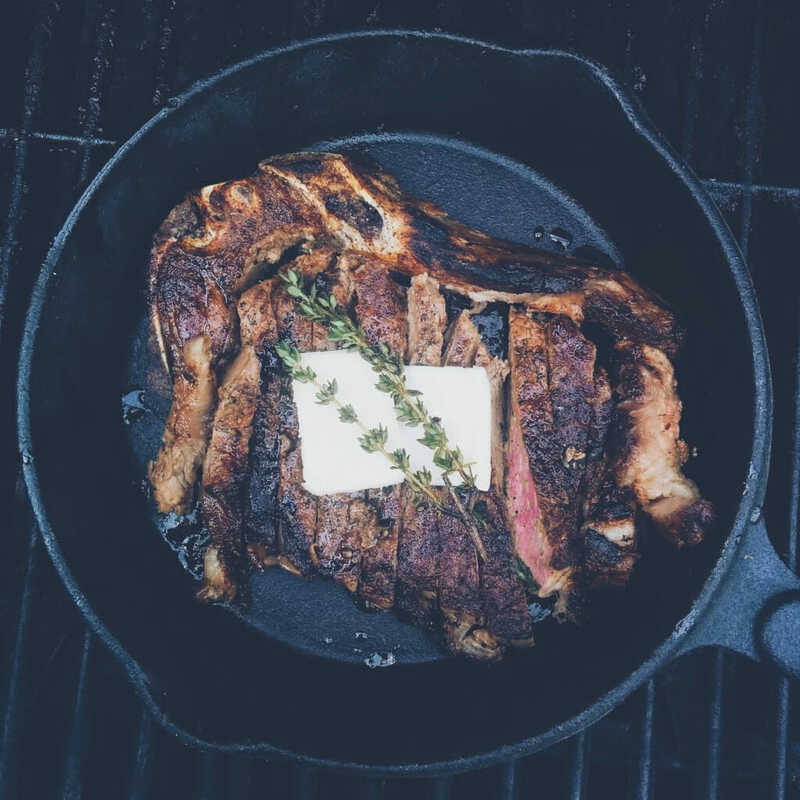 So, when we wanted to up our grill game, we went straight to Meat Maker #4 at VG Meats, Kevin Van Groningen for tips and tricks for the perfect steak. Turns out, grilling a Very Good steak is more than just a good cut of beef — though that definitely helps! Kevin suggests using a VG tenderness tested bone-in strip loin for a gas grill, about an inch and a half thick is ideal. The most important step for grilling a Very Good Steak? Let it rest for about 7 minutes after it’s done before slicing! Patience is key. This is an easy way to grill delicious steak at home for family, friends and those hard-to-please guests! With some salt, grape seed oil and a little horseradish butter at the end, you really can’t go wrong. Pat steaks dry with paper towel. Sprinkle liberally with salt on both side. Coat meat with cold pressed canola oil. Sear steaks approximately 3 minutes per side, flipping only once. Remove from heat and let rest for 7 minutes. Meanwhile, mix horseradish, thyme and butter together in small bowl until smooth. Once rested, slice steak against the grain into half inch slices. Arrange in a cast iron pan, top with horseradish butter and serve!